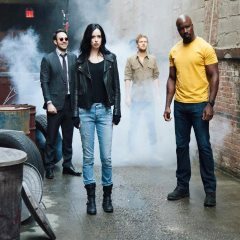 2018 is almost here, and we had lots of Daredevil-related comics and shows this year. So what's coming in 2018? 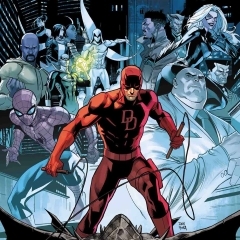 We've got the milestone DAREDEVIL #600 coming, another season of JESSICA JONES, another season of LUKE CAGE, and potentially we will see DAREDEVIL Season 3 later in the year. Fingers crossed. What was your favourite issue of 2017? Episode? Show? 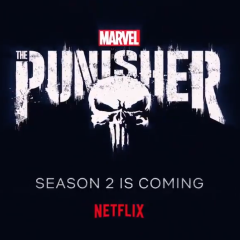 Collider recently spoke with actress Deborah Ann Woll about her work on PUNISHER and also asked her a few questions about what she'd like to see for Karen Page in DAREDEVIL Season 3. "That was true, at the very beginning, and that’s the kind of thing that’s true with every character. In the beginning of a show, as an actor, I don’t have a lot of say, in terms of storyline and what they want to do with [my character], at least in my position, in my career. So, for me, it is within the acting. How do I make every moment active and make choices that make her interesting and complex? And then, as the years have gone on and you start to know your character better than some of the writers and directors do, you get a little bit more of a world in which you can say, “I think it would be really great, if this year, her fate wasn’t determined by the boys,” or that kind of thing. You have to pick your battles and make sure that you’ve earned the right to talk about that." "Karen does that, too. She screws up her own life, and the lives of people around her, as well. You can’t aspire to have heightened senses, whereas you can aspire to tell the truth, every single second, and you can aspire to be dogged and just never let anything be enough, never give in, and never give up. That’s the kind of person that Karen is, and I think that’s what makes her a valuable role model. You can actually become Karen Page. It would be very hard to become Daredevil." 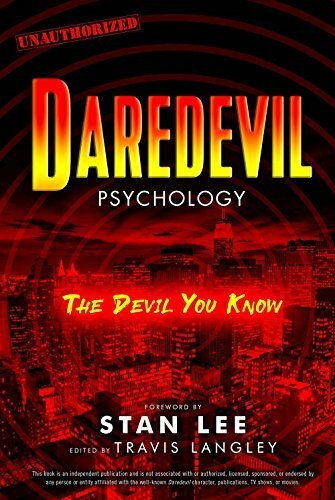 Coming in May 2018 is a new book of essays analyzing the psychology of Daredevil. Edited by Travis Langley, this unauthorized book will be available on Kindle and paperback, and will run 320 pages. It will also have a foreword by Daredevil co-creator Stan Lee! 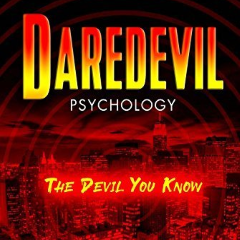 An in-depth analysis of the psychology behind the popular character Daredevil. Look for more details here soon, as I reach out to the authors and Langley. 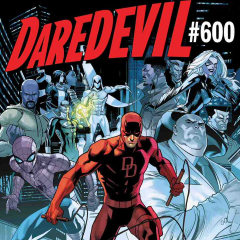 March 2018 solicits are now on the site, and we've got the DAREDEVIL #600 milestone issue! 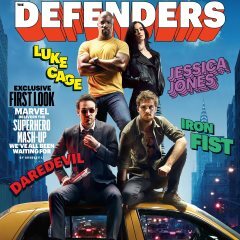 There are several variant covers, including some "remastered" covers by Frank Miller, a cover by David Aja and another by Alex Ross. 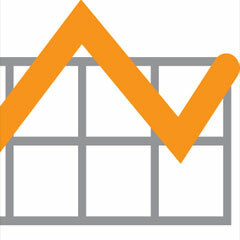 Sales data for DAREDEVIL has been updated until November. 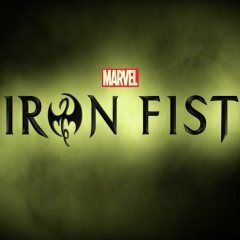 DAREDEVIL double-shipped in October just before the renumbering for Marvel Legacy in November. The boost of several variant covers more than doubled the sales, close to 60K, making it the second highest selling issue of Volume 5 so far. Hopefully the title stays at this level, but I expect we'll see these levels again for issue #600 next year. • At the same time, Luke and Jessica’s bad press has a disastrous impact on their lives! 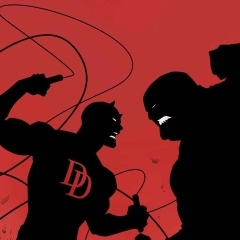 If you haven't read DAREDEVIL #596 yet, the following info is a spoiler, so be warned! So, the end of DAREDEVIL #596 has an interesting development, and Charles Soule talks to Marvel.com about Matt Murdock's new job. "I’m trying to set things up in this story as closely as I can to the way things actually work in City Hall. The truth is, there aren’t a ton of checks on the power of the mayor in New York. More or less, if the mayor wants the city to shift in a certain direction, or has policies he or she wants implemented, then the city’s various departments and agencies tend to go that way. 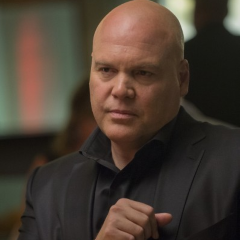 So, Fisk has all the power, and Matt Murdock has very little – at least in a political sense. However, he’s got his mind, and of course he’s got all the abilities of Daredevil… so he’s still got a fighting chance." 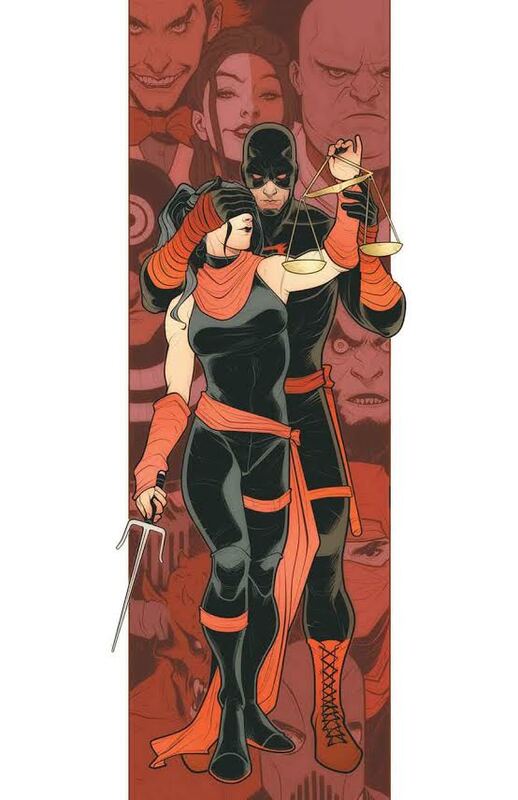 The milestone DAREDEVIL 600 is coming in March, and ComicBook.com has an exclusive first look of the cover by Dan Mora. 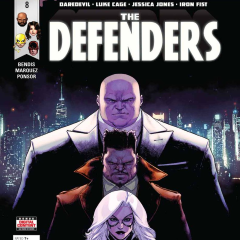 "Well, without getting into too many specifics, it certainly features the biggest villain in Daredevil’s career as a crimefighter – the Kingpin of Crime, Wilson Fisk," Soule says. "As we move into #600, we’ve been dealing with a huge story in which Fisk managed to get himself elected as Mayor of New York. 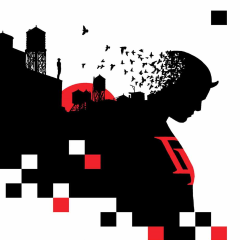 This has made Matt Murdock’s life hell in a hundred different ways – among other things, there’s a warrant out for Daredevil’s arrest, his work with the DA’s office is getting tons of pressure from Fisk, and even more than that, he just doesn’t feel like the city is his anymore. So, Daredevil #600 has Matt Murdock fighting his greatest enemy literally for the fate of the city he loves, in multiple arenas. Doesn’t get much bigger."